Debt consolidation is a way to streamline several debts into one monthly payment. The idea is to create a proactive strategy that helps you avoid the danger of bankruptcy and insolvency. Debt consolidation can also provide relief, particularly if you’ve experienced some financial hardship that has put you grossly behind on your obligations. Ideally, a debt consolidation plan saves you money through either lower interest rates or reducing the amount of money you owe to your creditors. There are many different ways you can consolidate your debt. But the best way to ask for advice from a trained credit counselor. Not only can they negotiate your debt consolidation, but they can also review your overall financial health to find — and fix — the root of your debt problems. You need to make sure your bare necessities are taken care of first and that your spending behavior is on track, so you don’t run the risk of going even further into debt. A credit counselor gives you the tools to prioritize your budget and start making better financial decisions to avoid future pitfalls. So how exactly can you achieve debt consolidation? You have several options, depending on your credit and financials. The most common ways are to tap into your home equity, take out a personal loan, or enroll in a debt consolidation program with a credit counseling agency. Let’s take a look at each one in detail so you can find out which might work for you. If you happen to have a significant amount of equity in your home, you can leverage that money in several different ways and pull yourself out of consumer debt. All of the following options allow you to qualify for a much lower interest rate compared to credit cards or title loans. However, you’ll need good credit because you’re mostly reapplying for a mortgage with most of these programs. Your home will also have to undergo an appraisal to make sure there is enough equity to qualify for the new loan amount. A bank cannot make a loan for more than a property is worth, so this is a vital part of the process. Expect to pay at least a few hundred dollars for the appraisal, and potentially a few thousand more for closing costs. You can usually have these fees rolled into the new mortgage or loan amount, so you don’t need the cash on hand. The first option is to take out a home equity loan (HEL) or a home equity line of credit (HELOC). A home equity loan is essentially a second mortgage on your house. Once you take out the loan, you’ll receive a lump sum of cash. Then in addition to your regular mortgage payment, you’ll have a second monthly payment for the HEL. An HELOC, on the other hand, acts more like a credit card than a loan. You’ll still need that home equity to tap into, but rather than receiving one large amount of money, you instead access a line of credit and take out just as much money as you need. You don’t pay interest on anything until you’ve taken the money out, then you begin to repay what you owe. A cash-out refinance another option where you receive a lump sum. Instead of paying back the second mortgage, however, you instead get an entirely new mortgage loan for the new amount. It often resets your repayment time to 30 years. All of these options can be used to pay off your creditors and then focus on that one monthly payment to your mortgage lender. The benefit here is that mortgage interest rates are typically scores below credit interest rates, so you’ll ideally be saving money on your monthly payments. The risk, though, is that the debt is now tied to your home. That means if you can’t make the payments, you could potentially lose your home. Make sure to spend responsibly and keep up with your payments to avoid foreclosure. If you don’t have any equity in your home, or don’t want to take on a secured debt, you can also consider using a personal loan to consolidate your debt. 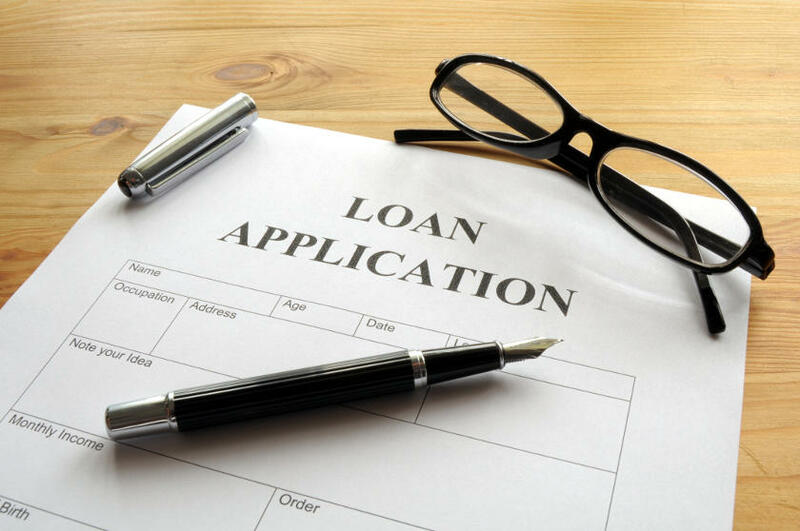 Between traditional financial institutions and newer alternative lenders, there are countless opportunities to qualify for a personal loan. Community banks and credit unions may be more willing to work with you compared to national banks, so start off looking at those. You can also consider online lenders. Some even specialize in working with borrowers who have bad credit. Look at the total cost of the loan, however, not just the interest rate. Personal loans often come with origination fees and other charges. Looking at the APR can help you decide if it’s a better deal than paying all of your debts individually each month. Another option to explore is enrolling in a debt consolidation program through a credit counseling agency. Here’s how it works: a credit counselor negotiates a repayment term on your behalf, usually just a small percentage of what you owe. Payments are spaced out between three and five years. Your payment is the same each month, so there’s never a question of how much you’ll owe. An additional perk is that if for some reason you have more money available in your budget, you can put more towards your repayment and finish ahead of schedule. However, there is a downside to consider as well. For all debt consolidation programs, you’re required to close all of your accounts during your plan so that you don’t continue to accumulate debt. While this may seem like a major inconvenience to some, it’s really in your best interest to keep away from the temptation of overspending. In some cases, you can get a low-balance credit card that is just used for emergencies. Is a Debt Consolidation Program Right For You? When you’re evaluating your options for debt consolidation, first take a look at your types of debt. The bulk should be unsecured debt such as credit card balances, medical bills, or personal loans. A helpful tool in figuring it out is a debt consolidation calculator. Once you determine your total loan balances and your total monthly payments, you can tinker with different scenarios of debt consolidation by adjusting the interest rate and repayment period. While these calculators are by no means a guarantee of a loan, it gives you an idea of what type of loan terms you need to save money on your monthly payments. Debt consolidation can be a complicated process, especially since there are so many options to choose from. Find a reputable credit counseling agency to help you look at your spending behavior and your current debt load to determine which is the best path to follow. Once you have a plan in place, you’ll feel relieved knowing that you’re taking actionable steps to get out of debt. You don’t have to do this alone, so get started by asking for help. The sooner you do that, the sooner you can get your finances back in order.